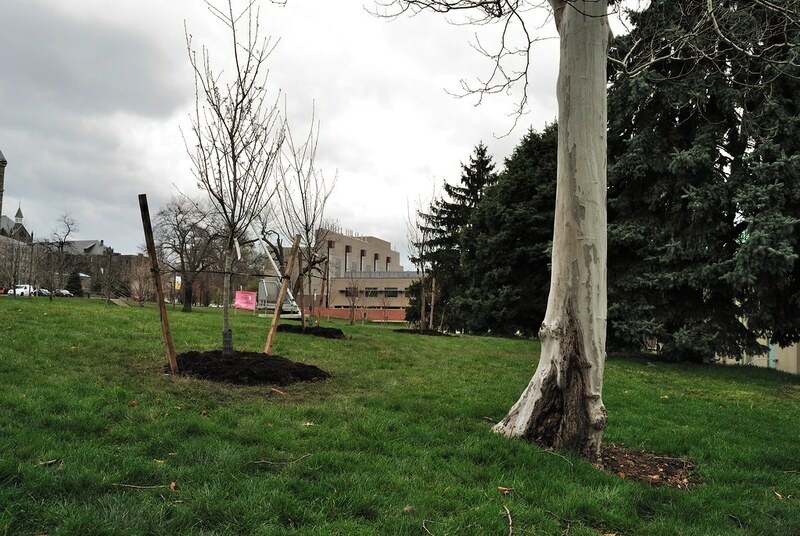 Tree planting at Catholic University this past spring. We'll be back at CUA planting trees on October 1. Sign up for our Tree Planting Workshop to become a Citizen Forester and plant trees with us!